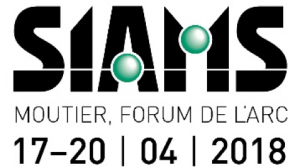 Do not hesitate to ask us for tailor-made solutions! 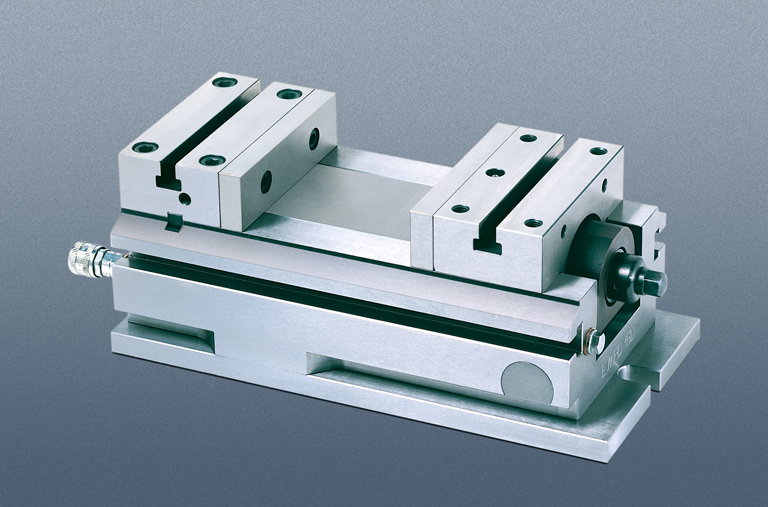 Functional with his three kinds of jaws (standard, stepped, with claw), this self-centering mechanical vice allows a varied tightening suitable for all types of parts. 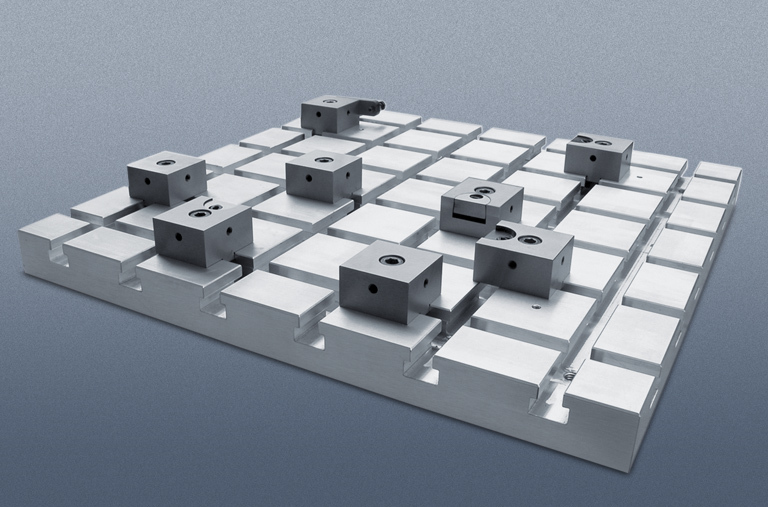 His compact and unobstructed design is particularly appreciated for different machining, in particular on 5-axis machines. But the Cm-type distinguishes itself from the competition by its precision. 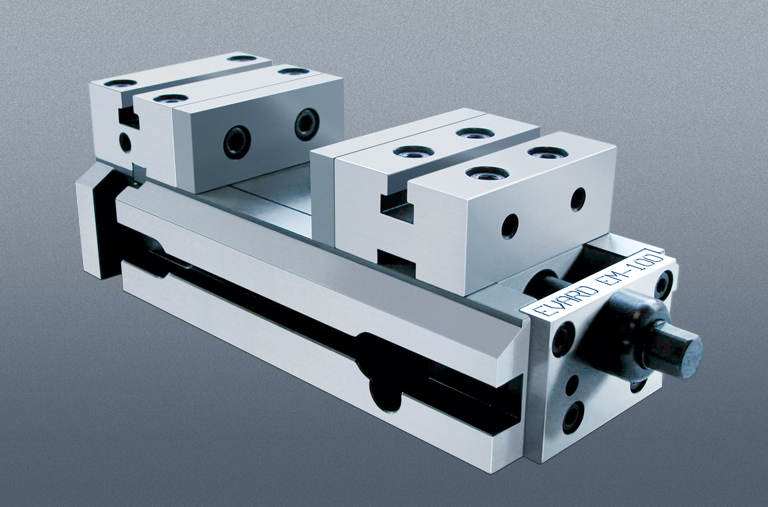 Universal, the EM-Type is intended for conventional machines as well as CNC and leveling machines. His T-slots allow special jaws, stops and templates to be fitted. Solid, it can be used in various positions and on several bearing surfaces. 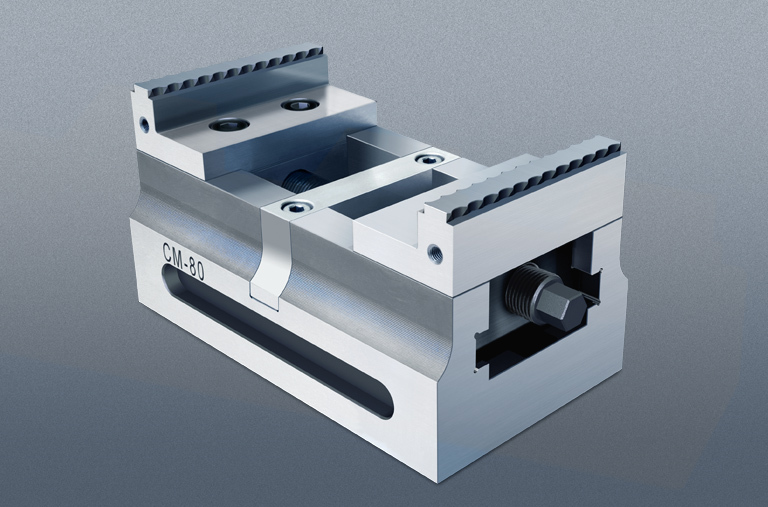 It distinguishes itself from the competition by its ground and closed sides, which prevent chips from getting into the vice and makes it easy to maintain. 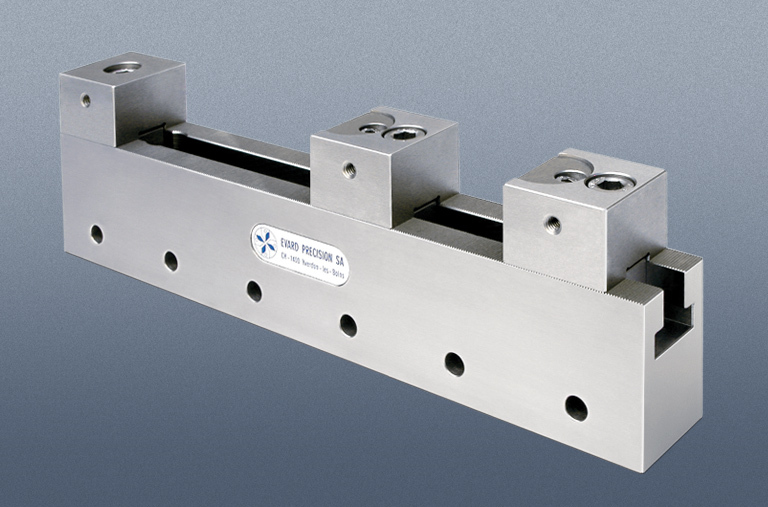 This pneumatic vice has been specially designed for fast, precise and powerful clamping. 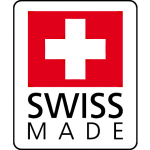 The hardened and ground bearing surfaces and guides make it a robust tool protected against chip intrusion. 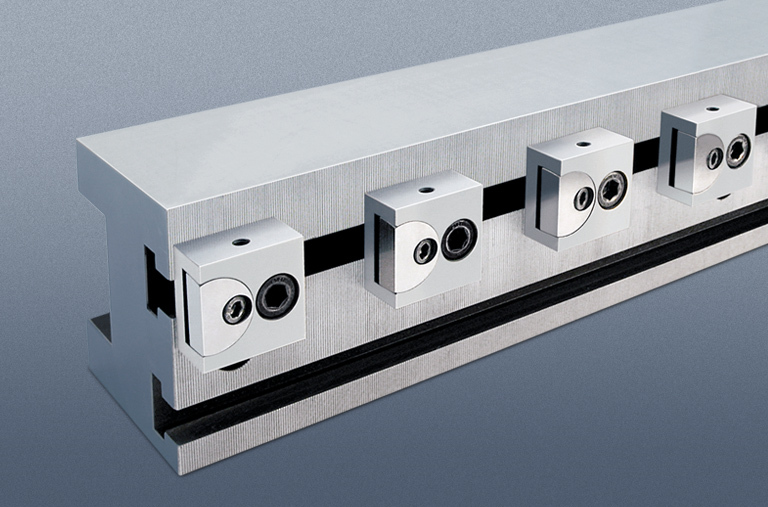 The Type-E meets all the varied requirements of the mechanical industry thanks to its wide range of accessories and excellent repeatability. 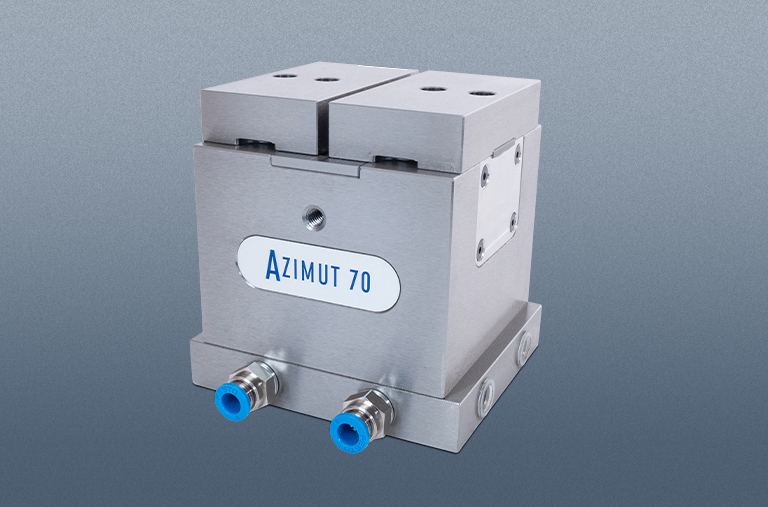 Characterized by an internal or external pneumatic self-centering clamping, the Azimut adapts to the shapes of the parts to be produced thanks to its machinable jaws in different materials. 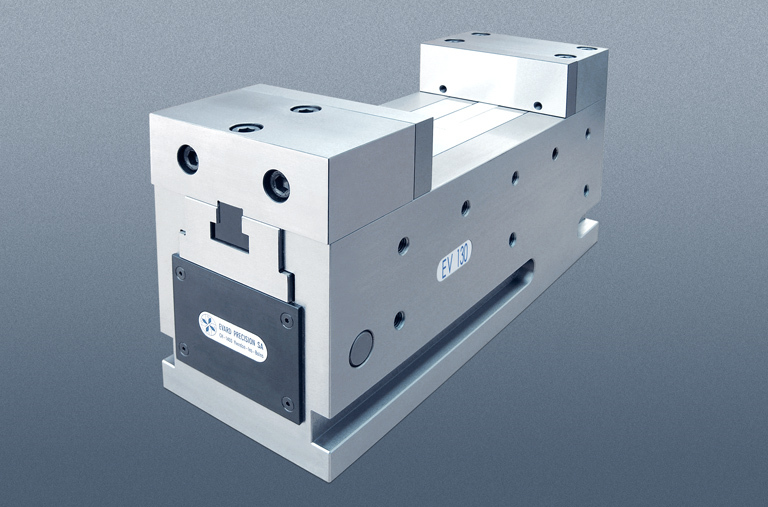 Efficient through its excellent repeatability, it is ideal for robotic loading and series production. 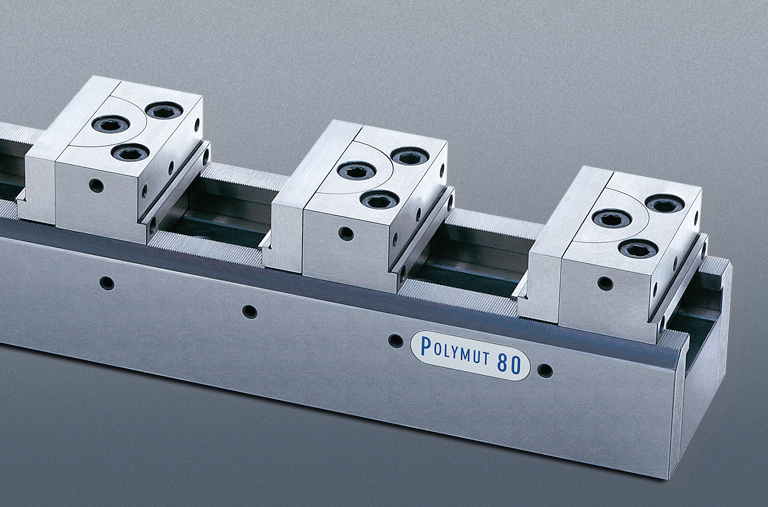 The latest addition to the pneumatic range, the EV-Type is characterised by an internal or external pneumatic clamping and offers the possibility of clamping several parts of all kinds at once. It distinguishes itself by a fixed jaw positioned against the operator who will then see his work ergonomics optimized. Ideal for series, it is also appreciated for its design preventing the intrusion of chips which makes it easy to maintain.